What happens when you want to improve the quality of the walls on your property with an affordable and top quality solution? Well, a brilliant recommendation for you would be to seek our superior drywall services in South Bend, IN as the best solution. One of the beneficial aspects of Mishawaka Drywall is that we help you estimate the cost of drywall, which can be a challenging experience for novice users. Once we complete assisting you in determining the cost of the drywall, you can be able to make an informed decision on whether the drywall upgrade is a possible investment. Before the jobs start, our staff men take all your unique recommendations into account such that the final results appear just as you had hoped. More importantly, you will also gain access to the broad spectrum of drywall sizes that are available on the consumer market. 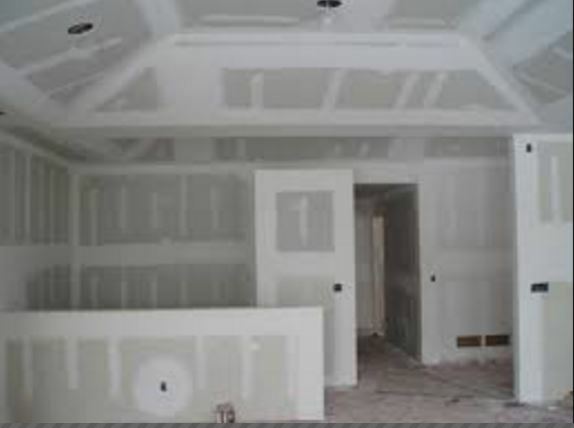 On top of that, you should also have information on finishing drywall procedure that is an important stage when selecting one for that suits your property. We help you make an informed decision about your property such that you are sure of receiving the ideal value for time and money each time. We help you increase the market value as well as the overall aesthetic appeal of your property with our state of the art drywall services. We had pre-selected all our employees and provided them with supplementary training to help ensure that you receive value for your money each time. Besides that, they also have adequate experience in the industry and top-level professionalism that is a paragon of credible drywall service provider in South Bend, Indiana. Another important aspect about Mishawaka Drywall services is that we have an affinity for an obsession for progression and obsession for excellence. This is usually underscored by the top notch quality of our service such as on-job site cleanliness and we leave your property in pristine condition. The immense amount of jobs we have completed in South Bend and the amount of experience that we have in the service industry easily qualifies us as the perfect solution. All you simply need to do is to reach for our designated contact lines upon which one of staff members will address all your issues. Whether it is a drywall repair, installation or remodel process is what you need for your property, we have a unique solution that will accommodate your needs. Our staff members have special knowledge regarding factors such as drywall texture that help determine the entire cost of the project as well as the average amount of time it may take to complete. The superior quality of our drywall not only provides an improved aesthetic appeal for your property, but it also is also an excellent fire resistant and robust enough for extended usage. Worth noting is the fact that all our superior drywall services are available at highly affordable prices such that everyone gains access especially when they need us the most. Take the bold step and give us a call. It will be an excellent investment.